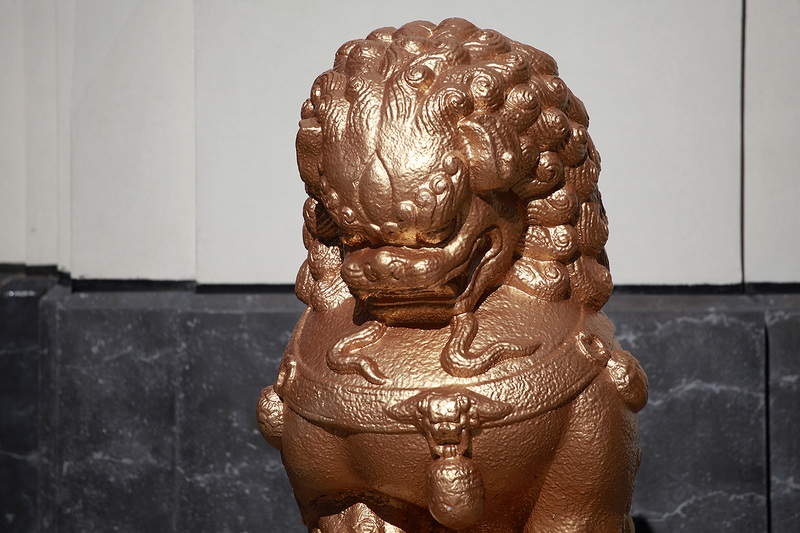 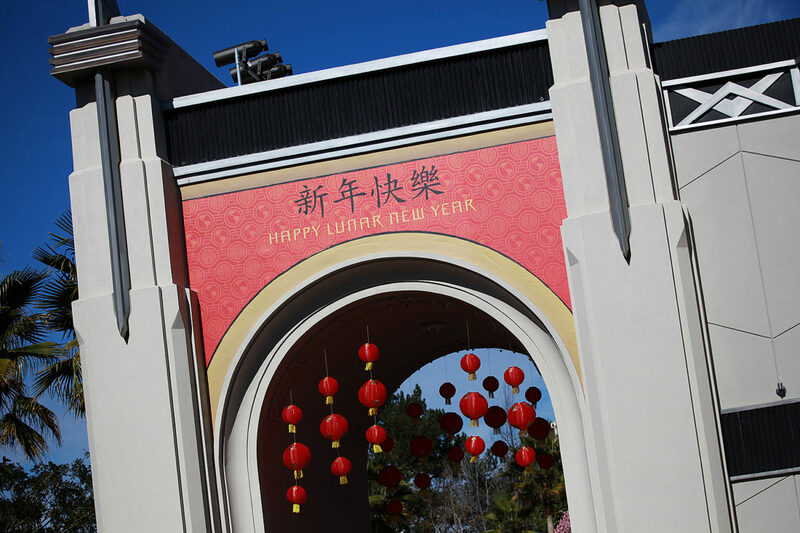 It’s time for Lunar New Year once again and like other major cultural celebrations, it’s a huge draw for everyone, not just those who grew up with it. 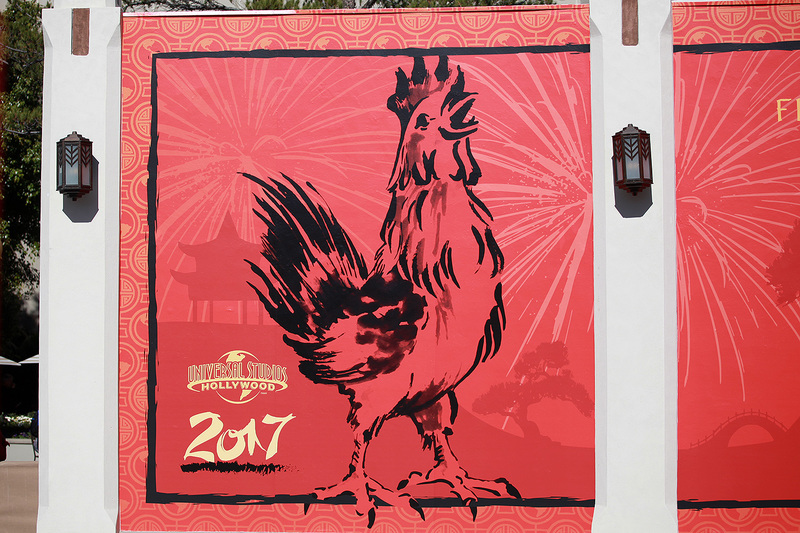 The festivies celebrating the “Year of the Rooster” began this past weekend at Universal Studios Hollywood and will continue through Sunday, February 5, 2017. 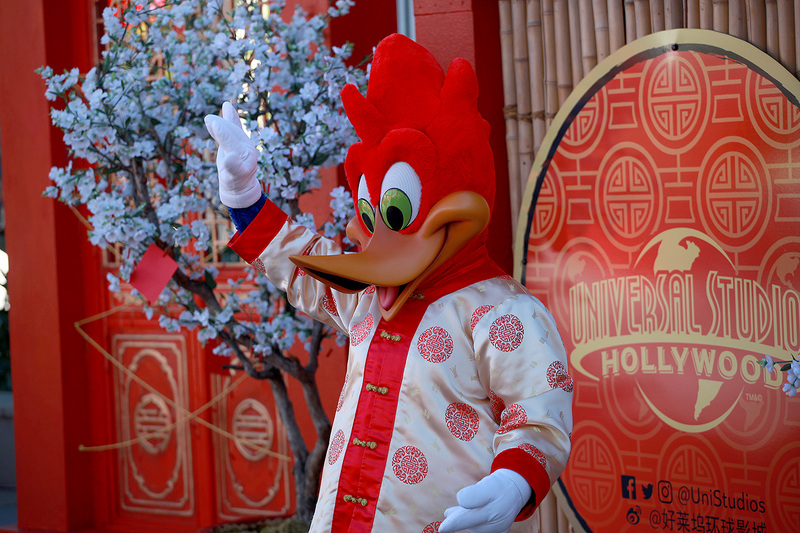 All the familiar character meet & greets from last year are back again, such as Woody Woodpecker and Curious George in their Chinese attire, as well as the mandarin-speaking Megatron. 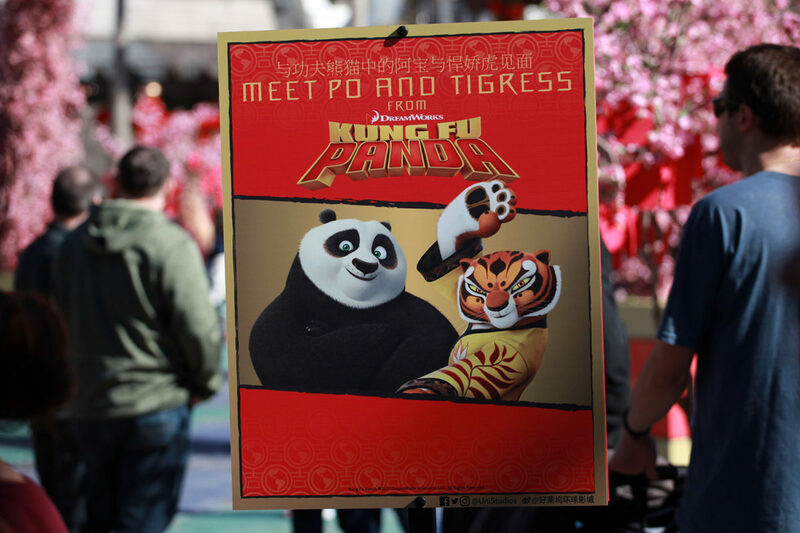 New to the roster is Kung Fu Panda’s Po and Tigress (Dreamworks became a part of the Comcast NBCUniversal family last year). 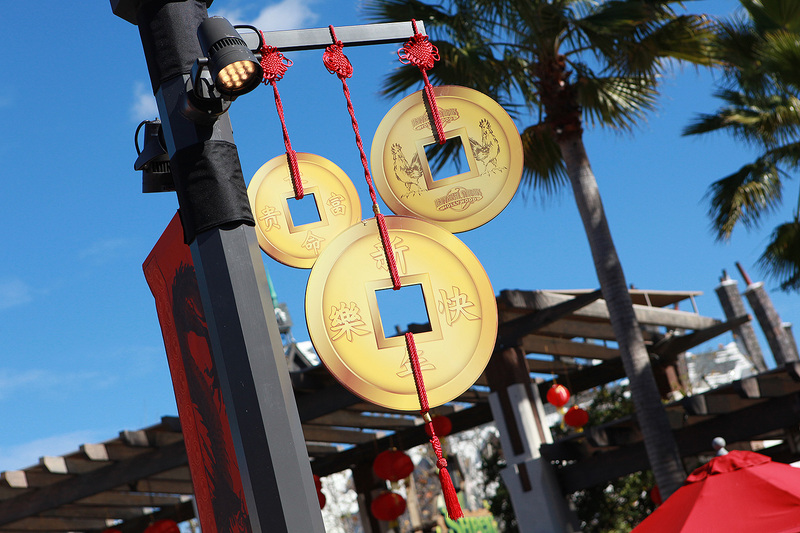 Once again, Universal Plaza serves as the backdrop for Lunar New Year, where Grinchmas most recently took place during the Wholidays. 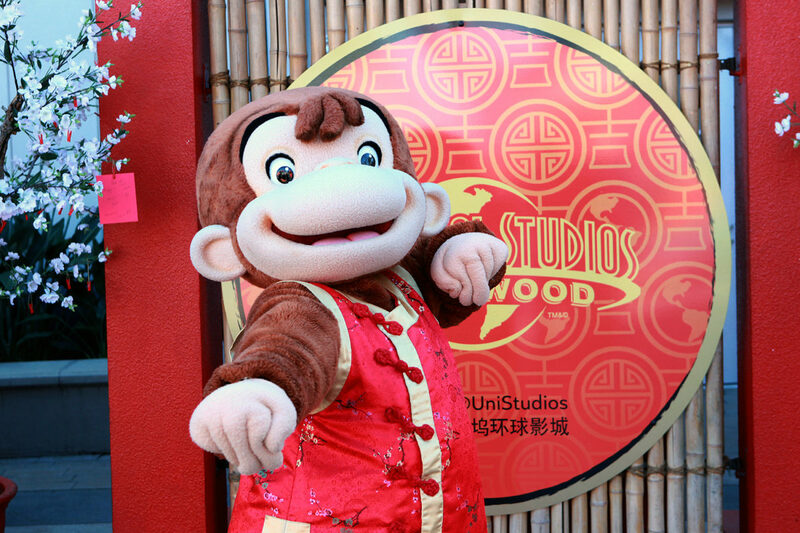 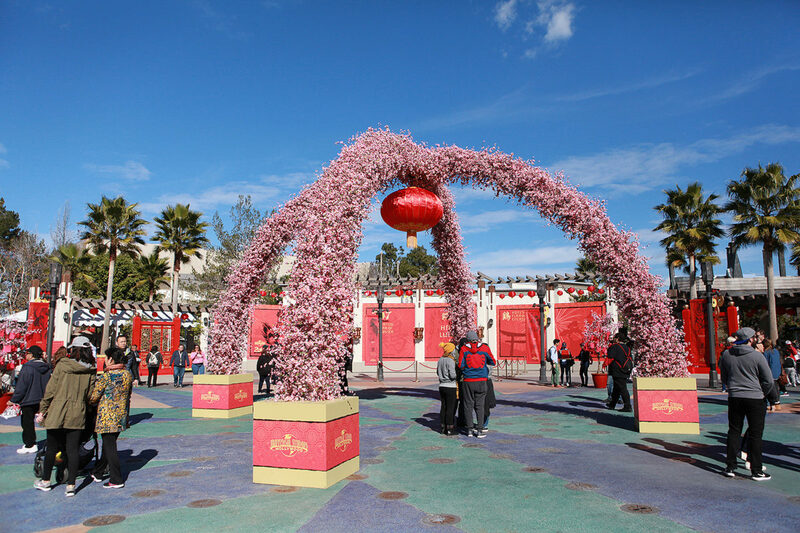 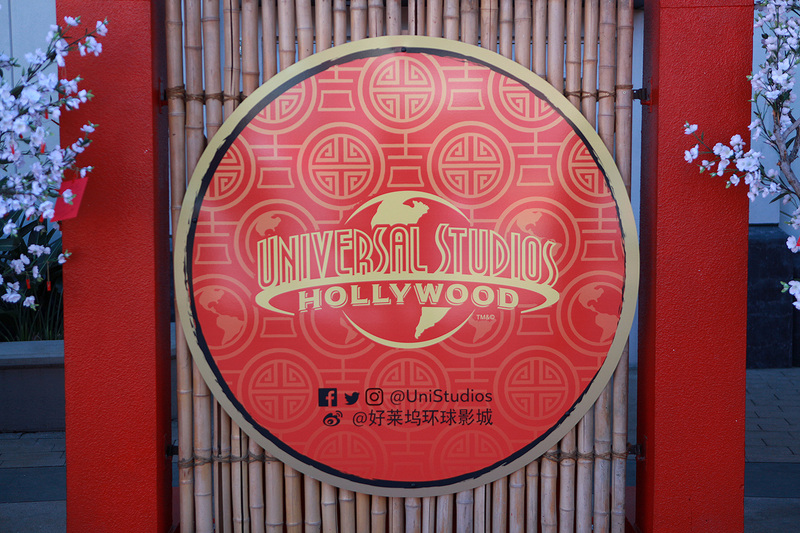 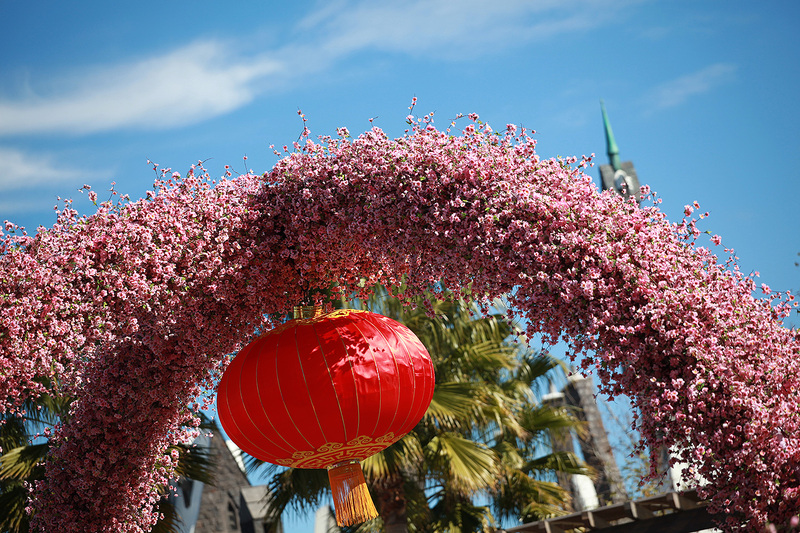 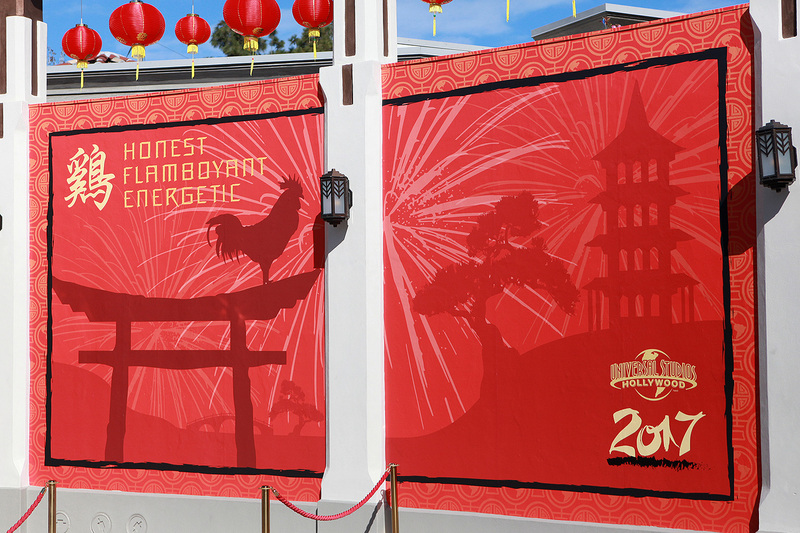 Simplicity is the best way to decorate for Lunar New Year and Universal Studios has been doing it that way for years, centered around Chinese lanterns and a plum blossom arch. 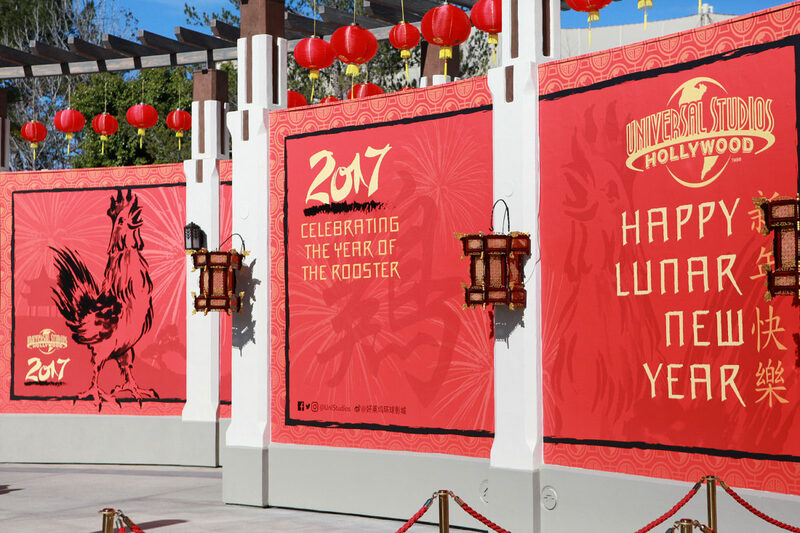 Lamposts with the twelve zodiac animal signs are displayed throughout, as well as stations where guests can write down their own hopes and wishes for Lunar New Year. 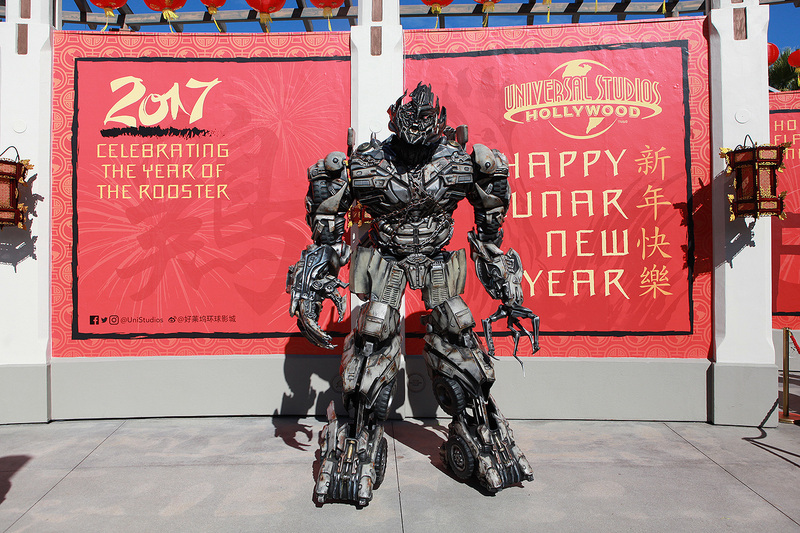 Mandarin-speaking Megatron is a popular favorite during Lunar New Year, even for guests who don’t understand him! 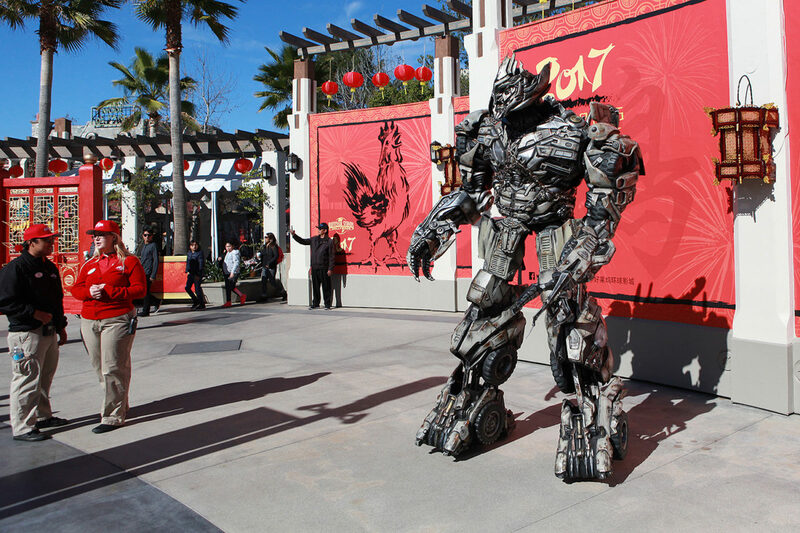 You can still meet the usual English speaking Transformers on the Lower Lot next to the ride, but it almost doesn’t matter where you go if you’re just looking for a photo opportunity. 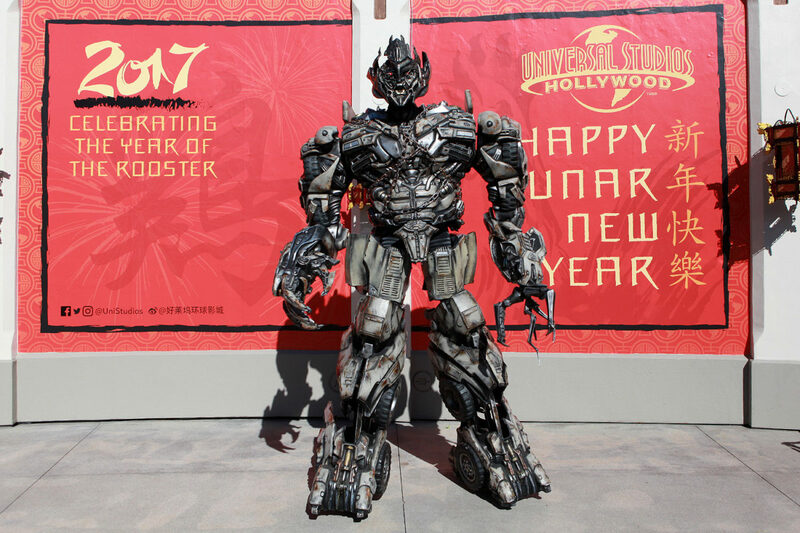 Megatron’s Chinese skills aren’t the best, but he probably learned it on the world-wide-web. 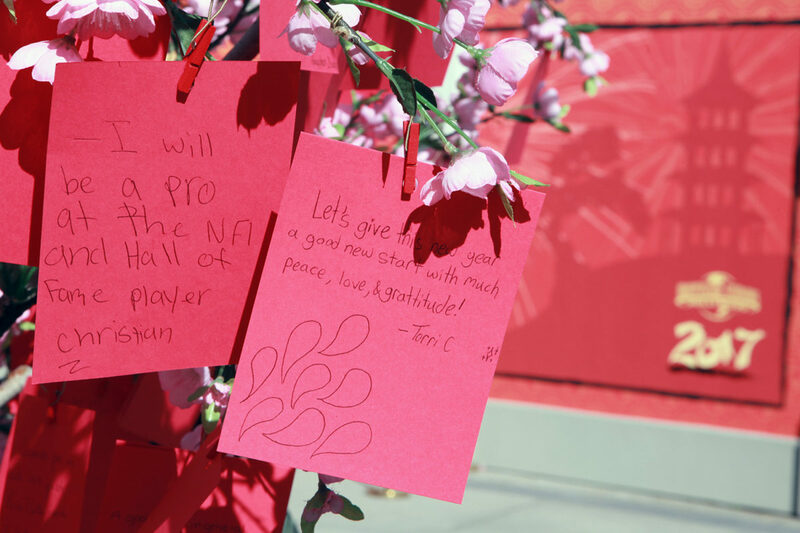 Gotta cut him some slack somewhere. 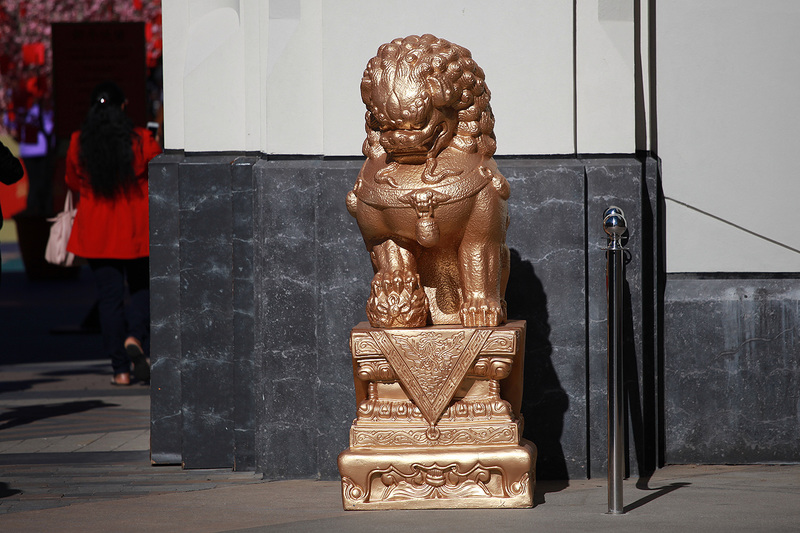 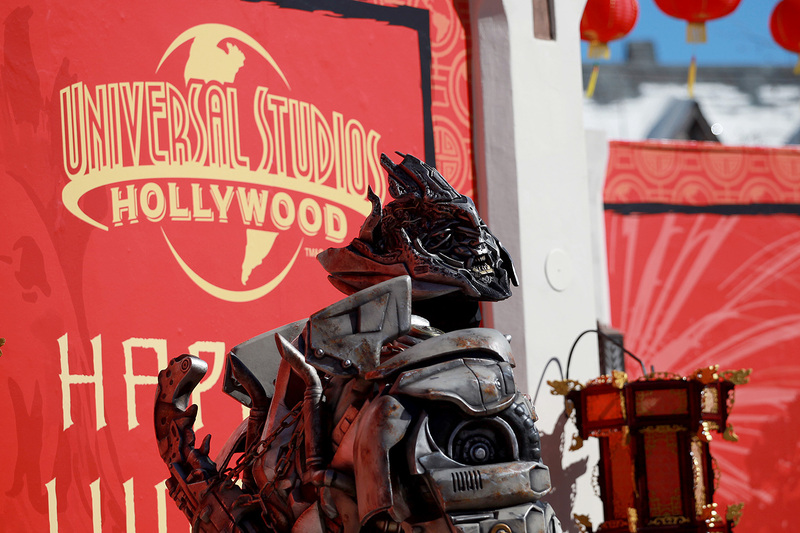 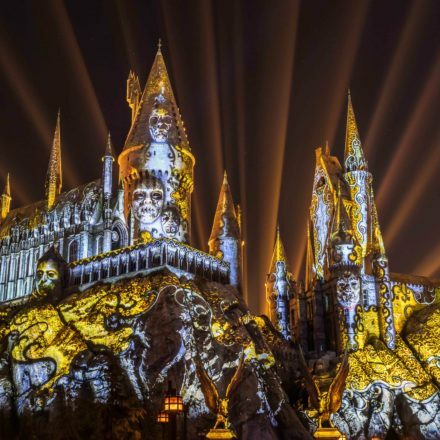 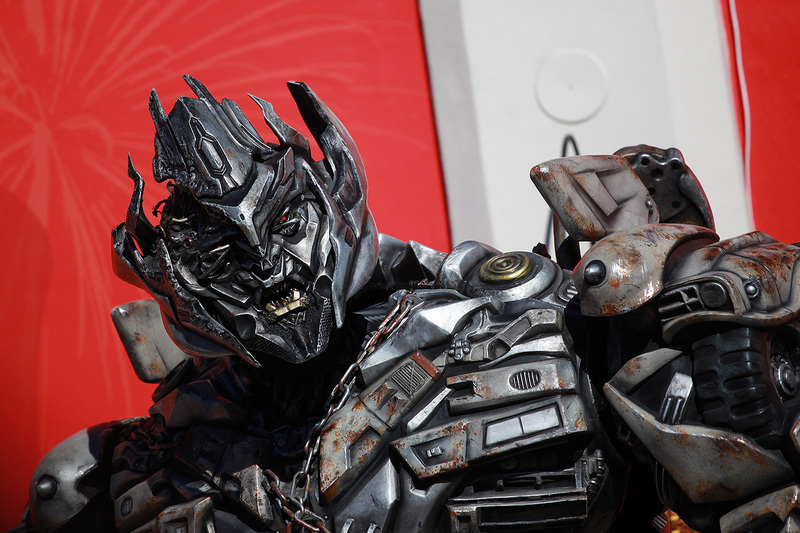 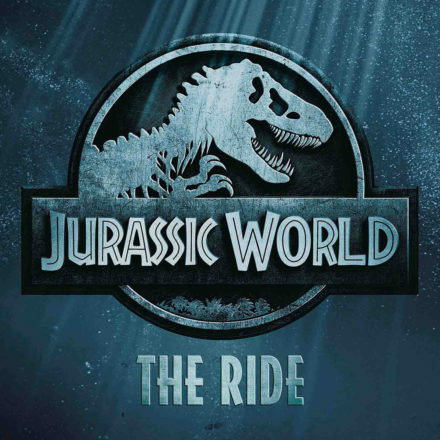 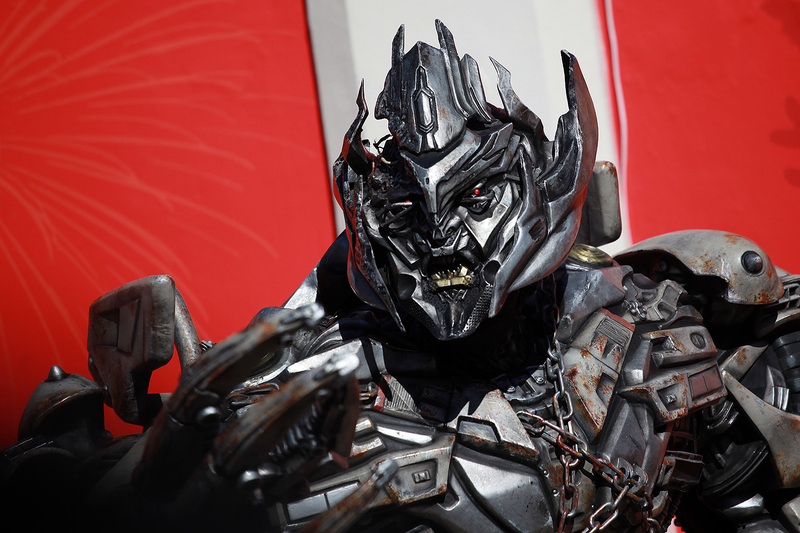 If you’re wondering why a Chinese speaking Megatron, Los Angeles (and Universal Studios Hollywood) is a major stop for tourism from China, and According to the Los Angeles Tourism & Convention Board, the city welcomed 47.3 million visitors in 2016 — an increase of nearly 4 percent over 2015. 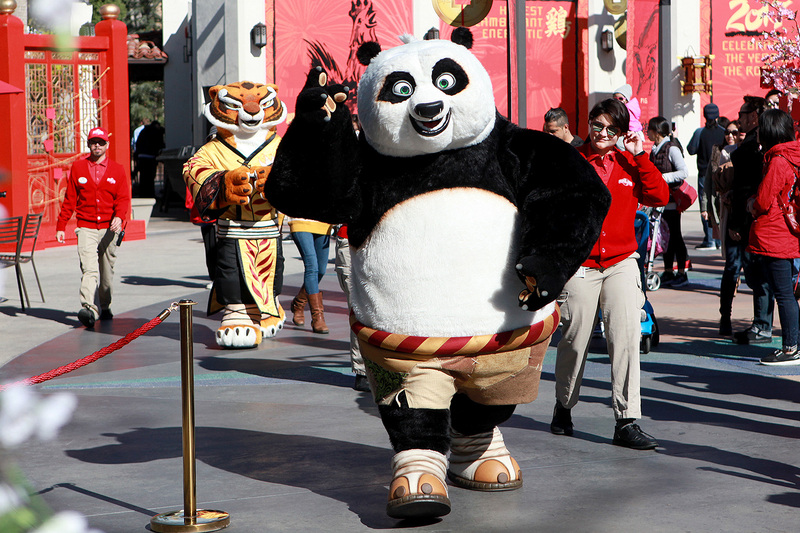 It marked the sixth consecutive year of record-breaking tourism growth. 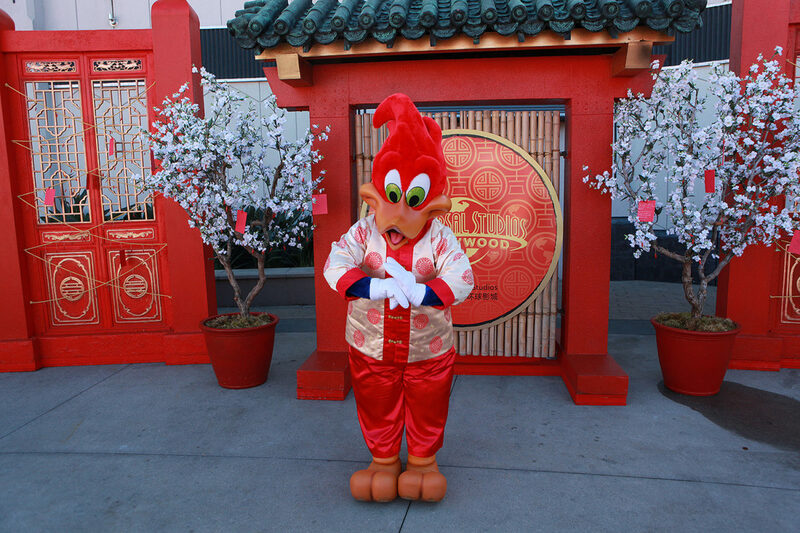 He’s no rooster but Woody Woodpecker is dressed for the occasion. 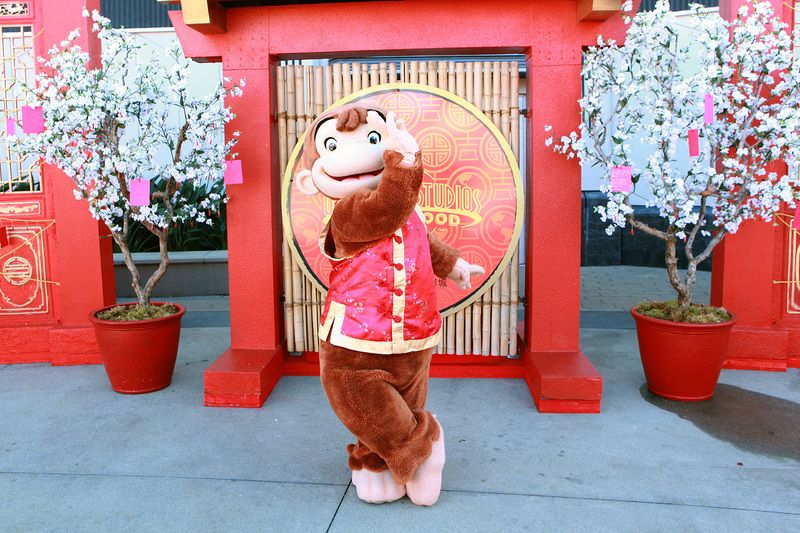 Curious George was able to celebrate the Year of the Monkey last year, but he’s still a good sport for the Year of the Rooster! 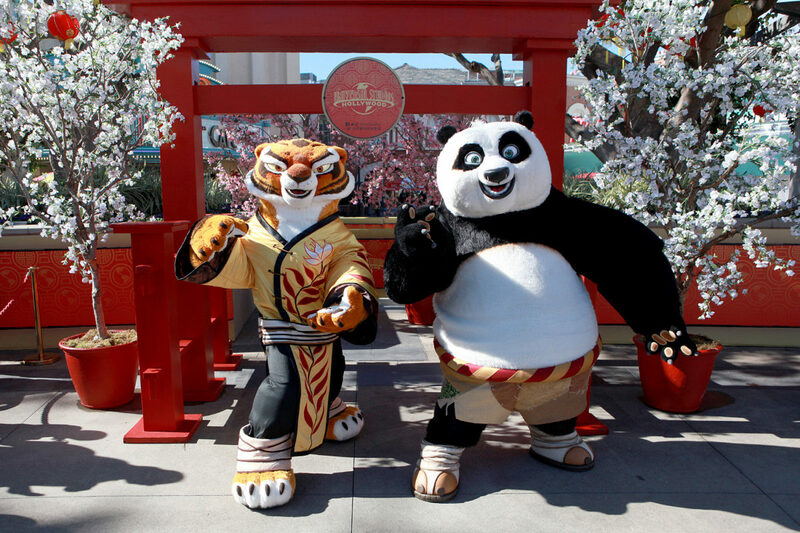 New for 2017, characters from Kung Fu Panda! 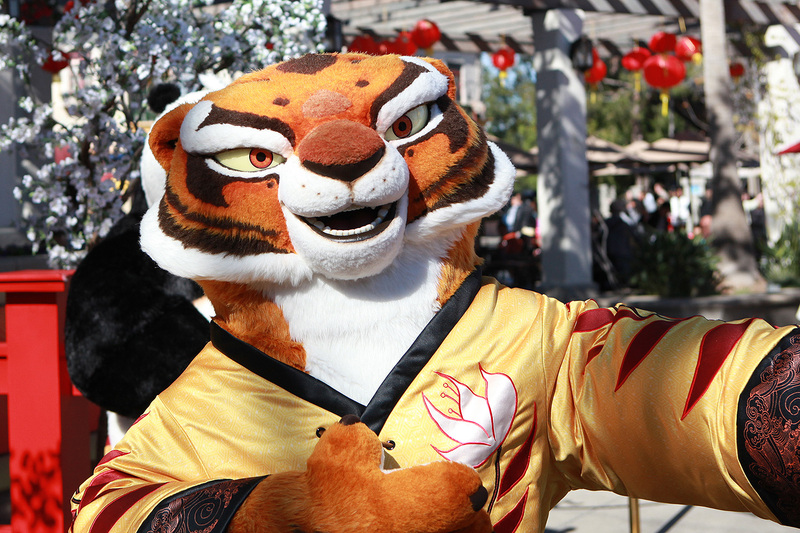 Po and Tigress will pose for pictures for a limited time only! 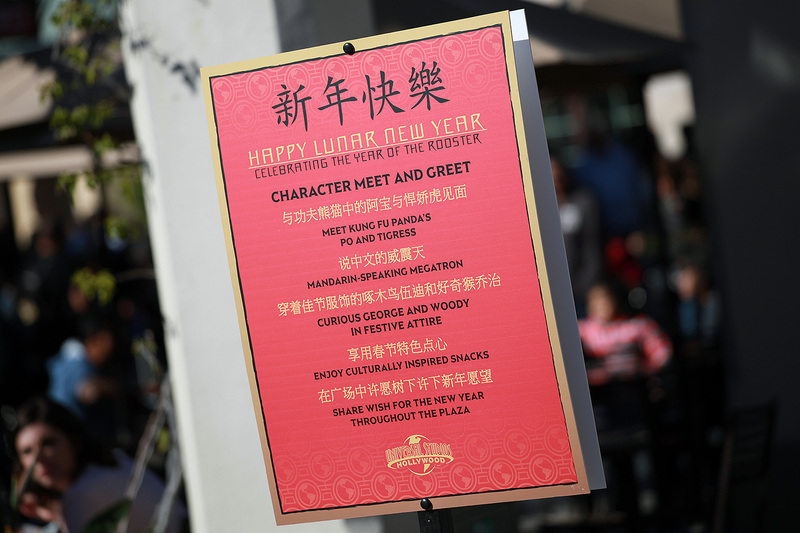 In addition to the characters, a selection of Asian-inspired treats will also be available, including pastries decorated with the Chinese characters for “Rooster” and “Fortune.” Lunar New Year at Universal Studios Hollywood will end on Sunday, February 5th, so definitely stop by for some unique meet & greets and of course, plenty of fun.